The Bayou’s Mark Alston (below left) has spent most of his life (“since elementary school”) in landlocked Salt Lake City—about as far away in miles and influence from Louisiana-style cuisine as you can get. 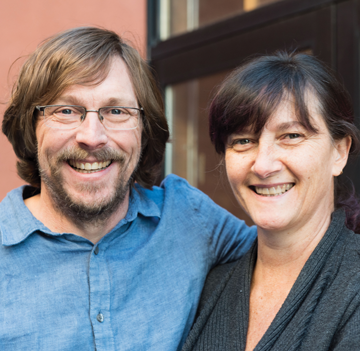 That didn’t stop him and his wife, Kileen (below right), from launching a bar in 2002 that now features 450 different bottled beers and 25 beers on tap, all designed to complement a flavorsome menu of Cajon-Creole dishes—one of the few places in the Salt Lake Valley to serve such fare. 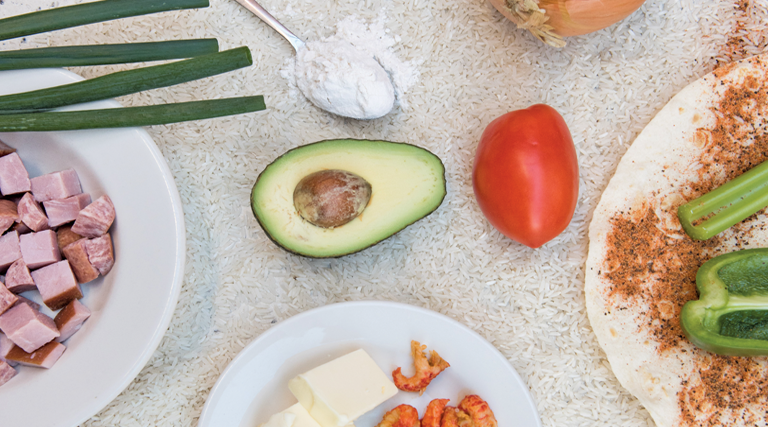 While The Bayou’s classic jambalaya, gumbo and étouffée deliver on the promise of zest and spice, it’s mashups like the Cajun Burrito ($12.99) that are truly to die for. They start with a tasty jambalaya—long-grain rice made savory with cubes of sausage and Cure 81 ham, made aromatic with caramelized onion, celery and green peppers (the “holy trinity” of Cajun cooking) and made spicy with tomatoes, broth and seasonings. 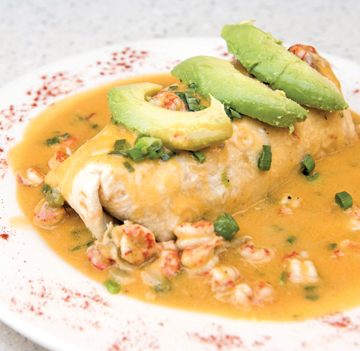 It’s rolled up in a flour tortilla, smothered with a buttery crawfish étouffée and finally topped with sliced avocado. Two can easily share this behemoth entrée, made even more satisfying with a frosty glass of Bohemian Oktoberfest alongside.